So I no longer have to put up with this. Without warning, Adobe is trying to foist McAfee on me. 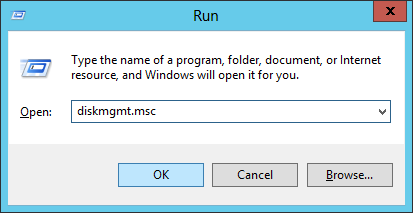 Because I’m on “Enterprise” Windows, I dodged the bullet. Would I get I choice if I was just a home user? Flash is crapware. Roll on HTML video so I can watch Youtube in peace. Today my laptop took three power-ons to get to the login screen. In between it either spontaneously powered off or showed the streaky window of death. I freaked out at the thought of losing all my data again, so I borrowed my flatmate’s Seagate Freeagent drive (1.5TB, external power supply) and used Windows Server Backup to make a bare-metal recovery backup. Writing the backup with Windows Server backup was pretty easy. Took about two hours to write 107GB over USB. Enough time to see Tottenham beat Sherriff at football. 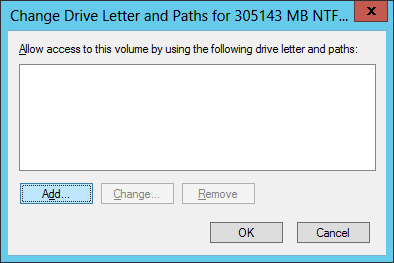 No, it’s just that Windows Server 2012 is too lazy to assign a driver letter for you. Don’t bother searching for ‘Disk Management’ in the Start screen. It’s not listed there. 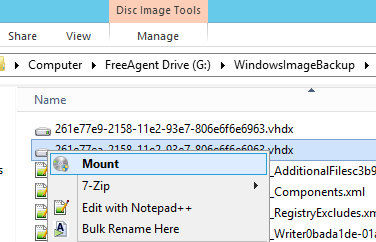 In Disk Management, the blue disk is the one that lacks a drive letter. This is the useful part. 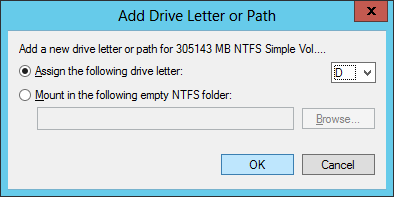 For me, the tool has chosen the first free drive letter (D:). Check and change if necessary. I just clicked OK to accept it. 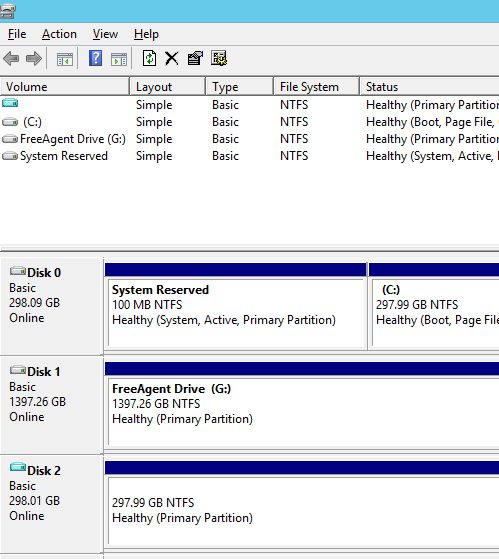 Now the drive is visible in Explorer. Success! But why can’t it just work?